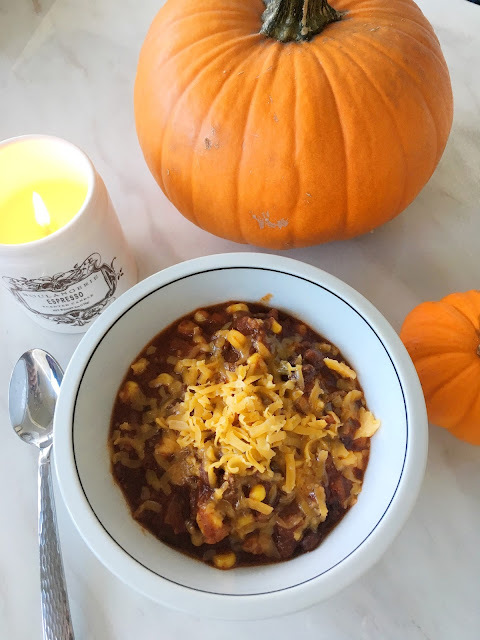 One of my favourite things to make lately is chili. 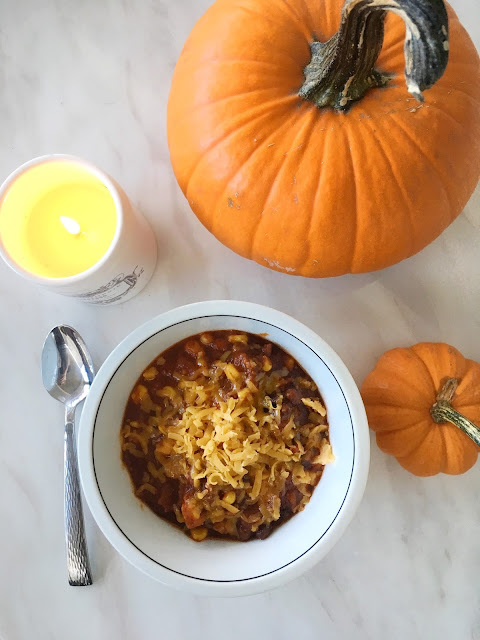 I don't know if its the cooler weather, but I find myself craving warm, spicy chili all the time!! Although I don't cook often, I thought I would try a really easy chili recipe and seriously...its so simple!! I now make this almost every week because it will last you for a couple of days and it costs me under $20! What's nice about cooking for yourself is you see everything you add, which means you can make it as healthy or unhealthy as you want. Anything I pick up I just make sure its unsalted or has zero sugar, and this recipe is fairly healthy. I like to use a large saucepan for the entire process. 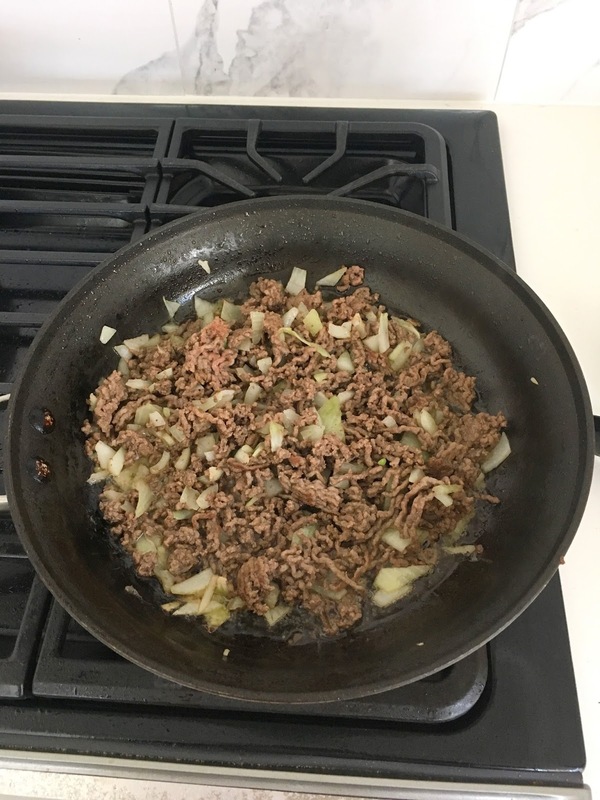 I throw my lean ground beef and chopped onions in the saucepan. I make sure my onions are sautéed and ground beef is officially brown before adding anything else. 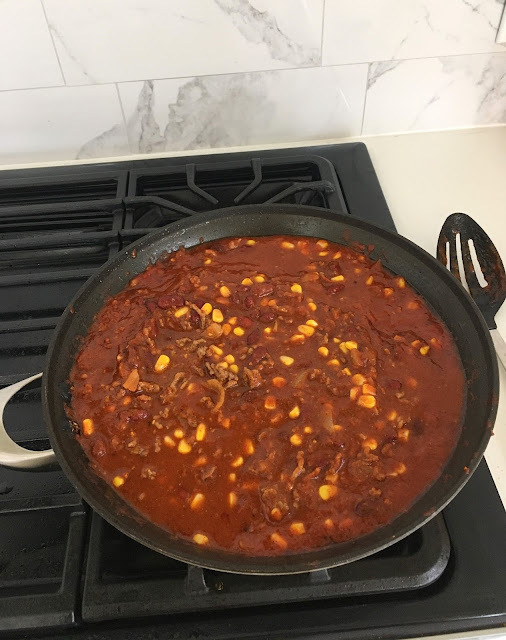 Once that is complete, throw in a can of crushed tomatoes, can of rinsed out kidney beans, a cup or two of corn, and a little bit of water. Make sure to mix everything together as you go. Mix your chili spices in with everything and let it simmer on low heat for about 15 minutes. It's honestly that easy and tastes delicious. Feel free to melt some cheese on top once you place in your bowl or dip with some bread! !